This entry was posted on March 25, 2015 by Marco Rivera. Today, the Securities and Exchange Commission (SEC) voted to approve rules regarding Regulation A+ under Title IV of the JOBS Act. 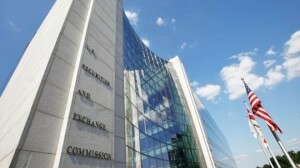 The changes made to Tier 1 and Tier 2 of Regulation A+ will continue to be monitored by the SEC in conjunction with the North American Securities Administrators Association (NASAA) over the next 5 years to determine if they are effectively operating to help small businesses while still maintaining satisfactory levels of protection for investors. The final written regulations are set to be released soon (though you can see a draft copy here). The rules will become effective 60 days after publication in the Federal Register, a process that typically takes 5-15 days. 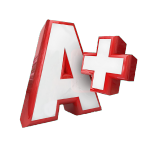 Thus, we can expect Regulation A+ to become effective around mid-June 2015. Patch of Land will be monitoring final regulations and implementation of Regulation A+ and will update our investors if it presents a good opportunity. Everyone is Eligible to Invest -- Investing is no longer limited to accredited investors. However, Tier II investors will be subject to investment limitations described below. Investment Limits -- Tier 1: No limit; Tier 2: For each Regulation A+ offering, unaccredited investors will be allowed to invest up to 10% of their net income, or 10% of their net worth (whichever is greater). Self-Certifiable Net Income & Net Worth -- Investors can self-certify their net income or net worth, meaning that issuers won’t have to go through the onerous documentation and proof of verification process required by Rule 506©. Transferability -- Reg A+ securities will be freely transferable, meaning that secondary markets are likely to spring up. Issuers may choose to set their own contractual limits to transferability. The SEC's amendments to Tier 1 increased the offering level from $5 million to $20 million in a 12 month period, but still does not have pre-emption of state laws. This means that issuers will still be faced with considerable delay by state regulators via a coordinated review program. This retrospective review will determine if there's a need to adjust the offering level of Tier 1 in the future. Regulation A+ Tier 2 allows for offerings up to $50 million in a 12 months period and will preempt state law. Additionally, issuers may use a short form offering statement. However, Tier 2 offerings will still require annual audits, semi-annual updates and material events reporting. Likely, Regulation A+ will have the biggest impact on large equity offerings.The SEC’s approval today is a good step in the right direction for crowdfunding. Patch of Land is excited and optimistic to see more steps in the same direction in the future. What do you think about the SEC's decision? Do you feel it was too much, or not enough of a change? Does this decision phase out Title III? Leave a comment and let us know what you think! This entry was posted in News & Press and tagged The JOBS Act Title IV, Securities and Exchange Commission, Regulation D Rule 506c, regulation A+ on March 25, 2015 by Marco Rivera. So, as a former Non Accredited investor....... Can I now fund my account with "Patch of Land"... and start investing? While Patch of Land is eager to open up its investments to all interested investors, we believe that the current one million dollar annual offering limit, and the various individual investment limitations, are not properly suited for us at this time. However, we are excited to see this potential investor pool open up to the whole working population (with a few exceptions for disqualifying investors) which numbers into the hundreds of millions. Marco, are you saying that Patch of Land does not plan to offer investing opportunities for Tier 2 investors? If that is so, I am very disappointed in the company. In this new-ish investment arena, Patch of Land is a company that I would trust, because of your commitment to compliance and your transparency. I've had a registered account here since the very beginning, have been excited watching Patch of Land grow, and was looking forward to investing when I have funds available to use for that purpose. However, I will never have income of 200K/yr or a net worth of one million to become 'accredited'. Cathi, thank you for your kind words and your trust in our company, that truly means the world to us. Ultimately, Patch of Land is a firm believer in the concept of democratizing investment opportunity for all investors, regardless of their accreditation status. However, when we first launched our platform in 2013, Regulation D was the only SEC regulation that allowed for us to offer our securities in a way that made sense for our business, and that regulation limits us to accredited investors only. With that being said, as our company proceeds to expand and grow we are exploring ways to offer securities to all types of investors. At this point, we have not yet come to the end of that search and would like to thank you in advance for your patience and trust as we continue to seek new ways to innovate real estate crowdfunding. In the meantime, we encourage you to participate in the real estate crowdfunding movement, even if it's not through our platform at this current time. Just remember to be cautious and perform your due diligence on both the platform you choose and the investment offerings you participate in. Please feel free to take advantage of our educational blogs and resources to help assist you in the process (https://patchofland.com/resources) And keep your account with us active so you can stay in the loop with our future corporate news and updates. Thanks again, Cathi.